A single mom from Northern NY had completely run out of kerosene to heat her home due to this past winter’s lengthy, frigid temperatures. Her brother helped as much as he was able and siphoned enough fuel from his tank to keep her and her young son warm through the night. Though she qualified for a 100-gallon kerosene delivery through a local heating assistance program, it wasn't available for another two weeks and that night's forecast for the area was 6 degrees below zero. Oil companies require a minimum 100-gallon fuel order before they can deliver and with a nearly $500 price tag, heating her home was out of reach. Thanks to the generosity of our donors, our local Salvation Army representative was able to combine resources with another local community action center to provide the $468 to get the fuel delivered and ensure this family stays warm through the end of the winter season. In Upstate New York, The Salvation Army provides basic emergency assistance to residents in every zip code. The Salvation Army’s Service Unit program operates in suburban and rural communities where no Salvation Army facility is present. It is a program designed to provide comprehensive emergency assistance for individuals and families in its community. Want to DONATE to your local service unit? Please inquire here. Want to donate in the future? Visit our Planned Giving options here. There are 167 Service Unit committees in the Empire State Division of Upstate New York. These units are made up of over 600 volunteers. Last year, over 45,300 people in Upstate New York were serviced by Salvation Army Service Units. Service Unit aid is intended to be temporary and varies according to the community. Service unit volunteers work in collaboration with area community agencies. Families or individuals needing long term assistance are referred to governmental social service departments or other programs within their local community or county. Service Units run on volunteers. Fill out our volunteer form and check the box that says "Other" and type in "Service Unit Committee" to get involved in your area. A Service Unit Coordinator will then contact you. 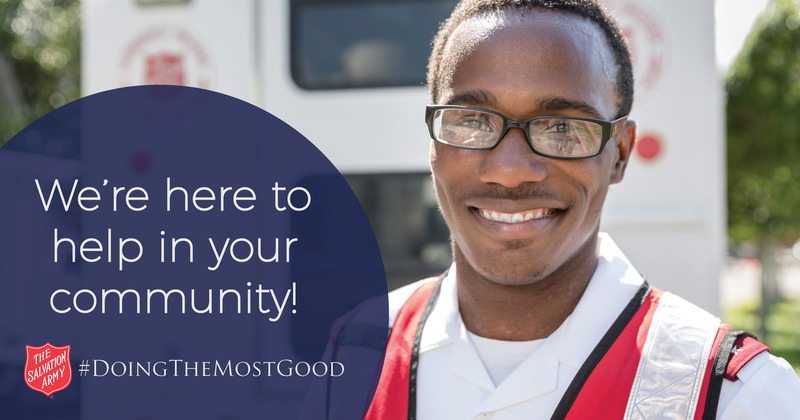 The Salvation Army provides basic emergency assistance to residents in every zip code. If you're in need of assistance and there is no established Salvation Army building in your area, our Service Unit volunteers can help!